The Sleep Number Mattress works with an individual’s pressure points to find ‘the perfect sleep number’ on a scale from 0 to 100. Some people may like a firmer mattress – say a ’60’, while others want feather softness like a ’30’. Sensors inside the mattress will monitor your sleep (with your favorite app) to show you the quality of sleep you are getting. This way, you can adjust your sleep number accordingly to get the maximum quality sleep you need. 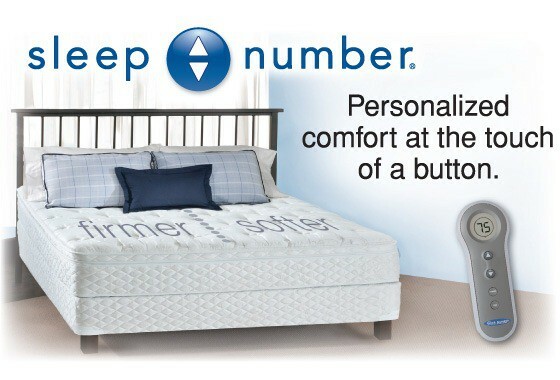 The Sleep Number Mattress last twice as long as an innerspring mattress. There is no sagging because there are no springs inside. 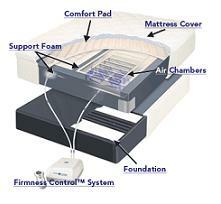 The mattress also boast a 25-year warranty and clinically-proven back pain relief. Since both sides of the mattress adjust, you and your spouse will be able to find the perfect sleep number – even if you disagree on mattress firmness and positions. The Partner Snore technology allows one-touch head elevation to decrease a partner’s snores. Dual Temp layers and In Balance bedding will keep you at the ‘just right’ temperature for a comfortable, cozy night’s sleep. This is important if one person sleeps hot and the other gets cold during the night – no more kicking off the covers or fighting for the covers. Everyone stays comfortable. The warranty for the Sleep Number Mattress is shady. The supposed 25-year warranty only fully covers parts/product replacement for the first two years. After that, everything is based on a percentage. At 20+ years you will pay 96% of parts and repairs. The warranty is non-transferable and mattresses with Sleep IQ technology are not covered. 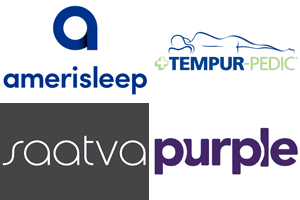 You can only purchase a Sleep Number Bed by visiting one of the stores. This will also give you a chance to try out the bed before you buy it. Comfortaire, Tempur pedic, Air Pedic and other air mattresses offer the same type of adjustable air flow positioning for better sleep. However, reviewers give the Sleep Number Mattress the highest ratings consistently. JD Powers awarded them ‘Highest in Customer Satisfaction’ two years in a row. Compare prices, warranties, and the sleep you desire to achieve before buying the Sleep Number Mattress. Other things to consider are financing options, delivery times and the fact that you will require a special base for your bed. A normal set of box springs will not work. You will be required to do the set-up of your Sleep Number Mattress and base, which will take about an hour if you are handy with tools and instructions.